First of all I'll mention the beautiful rose fragrance, its so fresh and subtle, I didn't find it too overpowering at all, but then I love the smell of roses anyway. 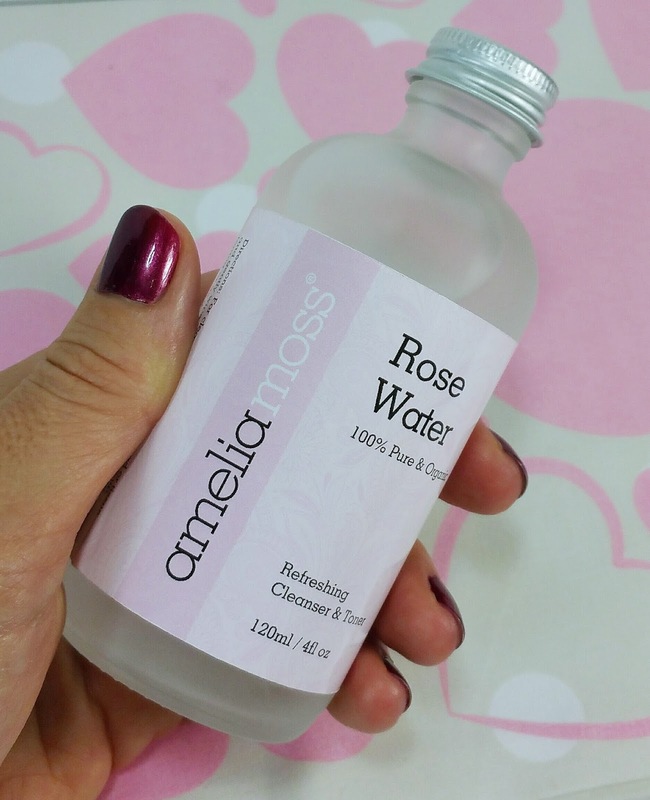 I've really enjoyed using this as part of my daily skincare routine and although the rose water can be used as a cleanser, I've been using it as a toner which is something I often skip in my daily routine. I apply a small amount to a cotton pad and gently wipe it across my face, honestly it's so cooling and refreshing and it didn't feel as though I'd had my skin stripped, which is what has happened when I've used some toners before. It works extremely well at making sure every last bit of makeup and cleanser has been removed and nothing is left behind. I feel as though my skin has been thoroughly cleansed and my pores aren't left all clogged up. 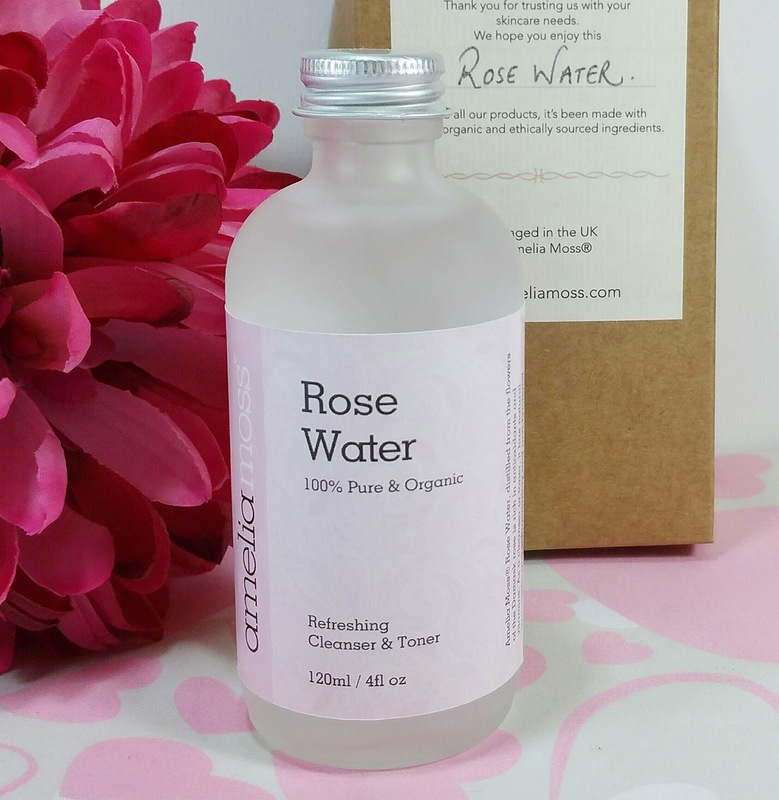 The Rose Water helps to maintain a healthy pH balance and contains anti-inflammatory properties, which my sensitive skin absolutely loved. 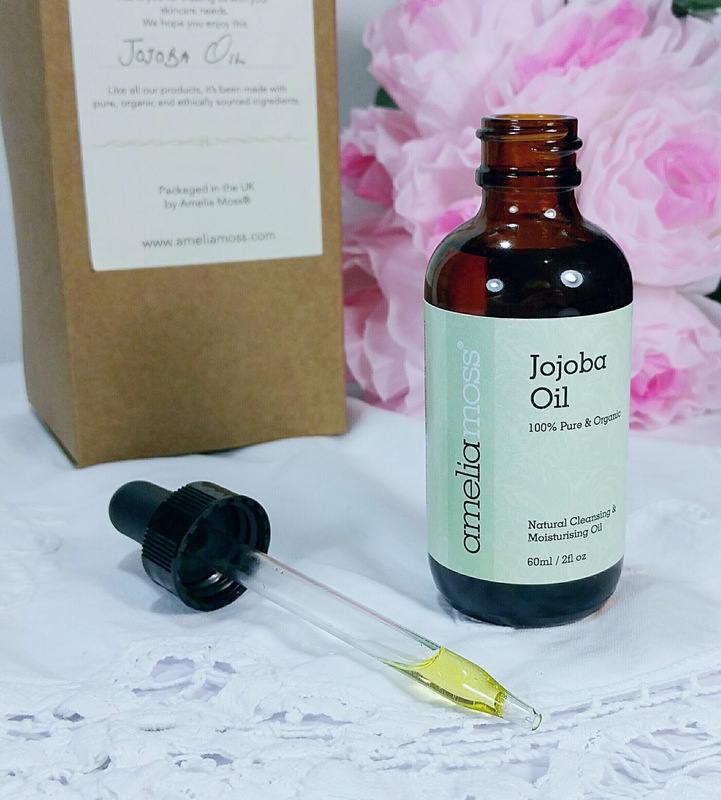 Jojoba Oil is produced from oil rich plant seeds and I've just loved incorporating this into part of my skincare routine. Again it can be used as a cleanser but I've chosen to use it as a skin treatment as Jojoba Oil mimics your skins own natural oils, so it really gets to work where it's most needed which for me was on any dry patches across my cheeks and it doesn't leave it too oily in other areas. 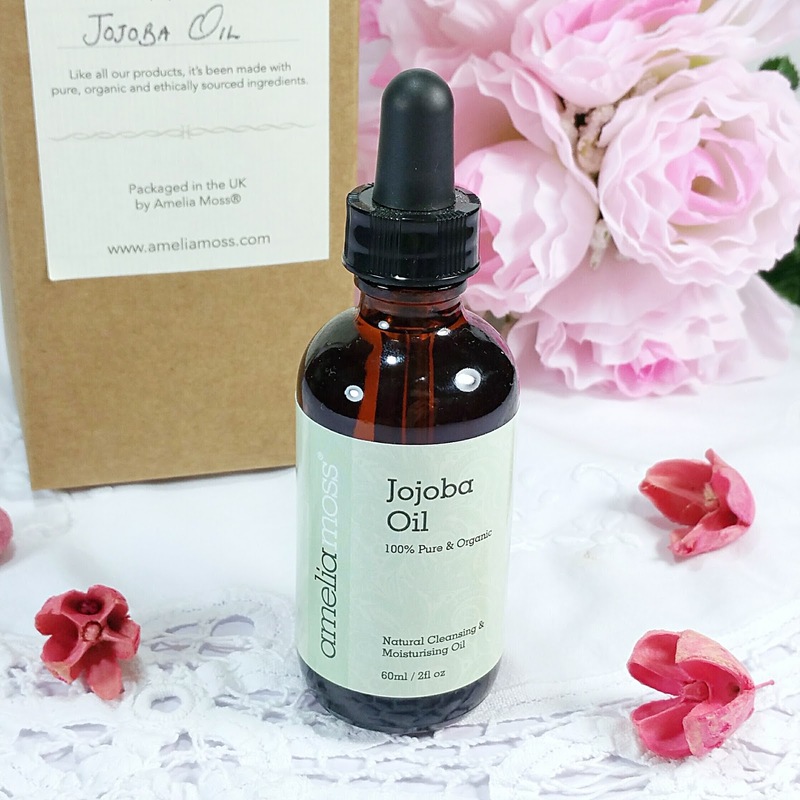 After using the rose water I add a few drops of Jojoba Oil to my hands and gently massage into my skin. It leaves my skin looking plump and healthy and feeling amazingly soft and hydrated. The oil doesn't take too long to absorb into my skin and there wasn't any greasy residue left behind. It's also helping to reduce a few fine lines which is absolutely brilliant. Jojoba Oil is packed full of vitamins and essential fatty acids and this powerful deep moisturiser is suitable for all skin types. It also helps to cleanse and soothe sensitive areas and give them a little extra special attention. I was also pleased to learn that Jojoba Oil provides the skin with a natural UV protection which is important for me even during the winter months. It felt a bit strange at first trying skincare on the ends of my hair, but I am so pleased with how it's helped smooth the dry ends of my hair that I've been replacing my usual serum for this and my hair is looking a lot better. I've also been massaging in any that's left on my hands afterwards! It can also be used as a shaving oil, which I have still got to put to the test. 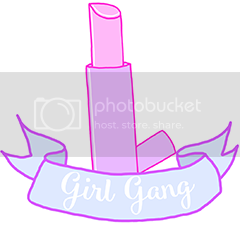 It truly is a great all round product to have! 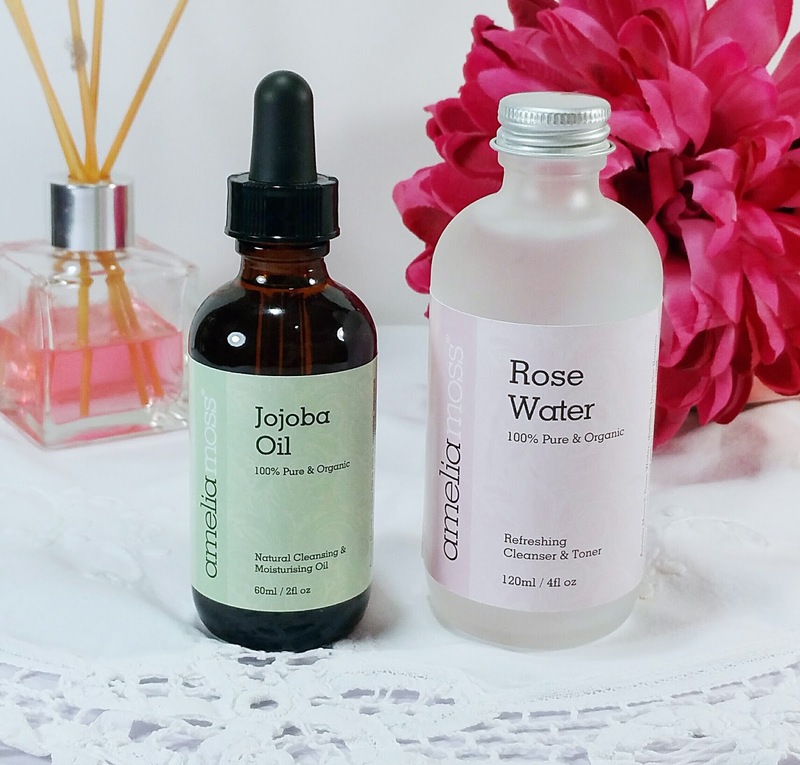 I've been using both the Jojoba Oil and the Rose Water for about a month now and I've absolutely loved using them as part of my skincare routine, especially at night as they really soothe my skin and both smell so relaxing, which is just what I need right before I go to bed. I think Amelia Moss will be a become a firm favourite of mine. So if you're looking for a new skincare product to try, why not take a look at what Amelia Moss has to offer.